Today is our last day of Christmas in July! Hope you enjoyed it and were inspired to make some things. (Click HERE to see ALL the CIJ posts.) 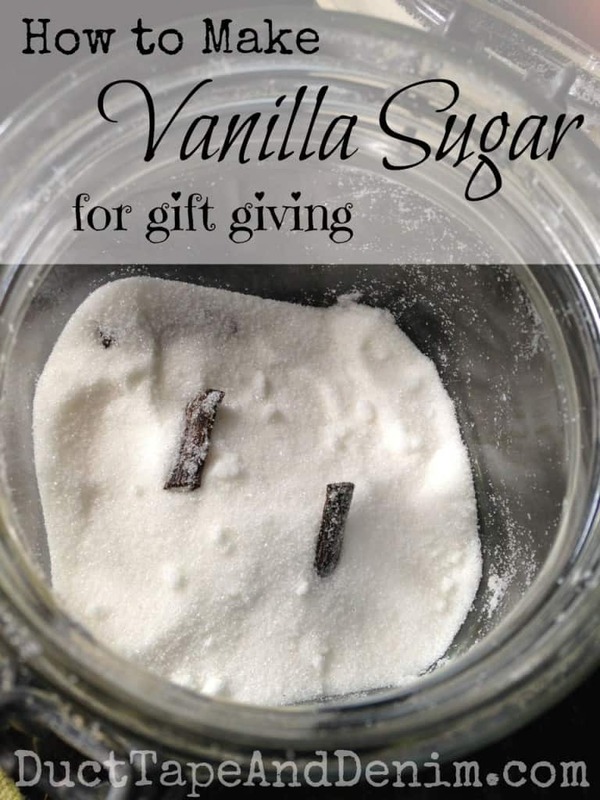 Here’s another super easy homemade gift — homemade vanilla sugar. Remember last week when I showed you how to make homemade vanilla? This is just a natural project to come after that one. Since you’ll already have a few extra vanilla beans just cut the leftovers into 1″ pieces and stick in a jar of sugar. Seal and leave for six weeks or more. Shake it up every now and then. When you need an extra gift this Christmas you can dish some up in a cute little jar with a personalized tag. You could also add some tea bags or coffee beans for a custom gift basket. I love this in coffee and tea! Leave me a comment if you make this. 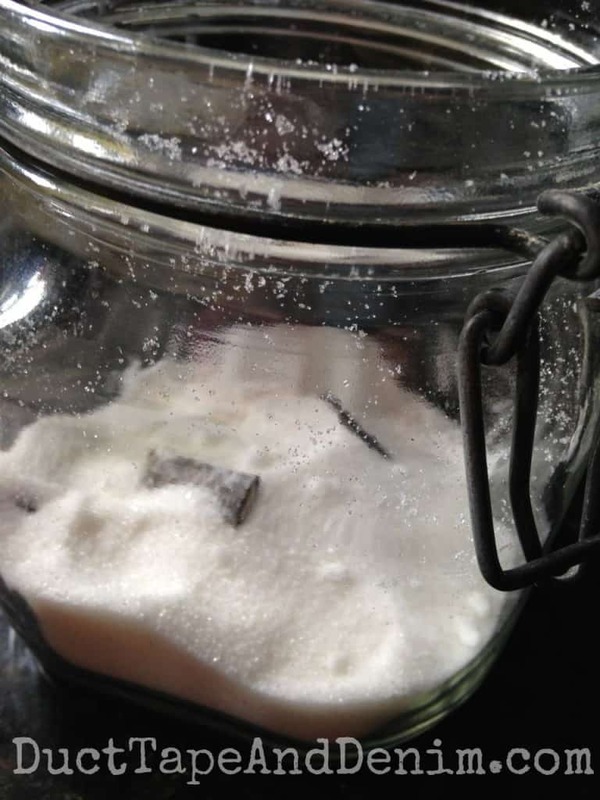 I’d love to hear how you used your homemade vanilla sugar! Originally published on July 30, 2014. I share at these blog parties. I have a friend who loves cooking and she’s crazy about vanilla sugar. Will make this to give her!